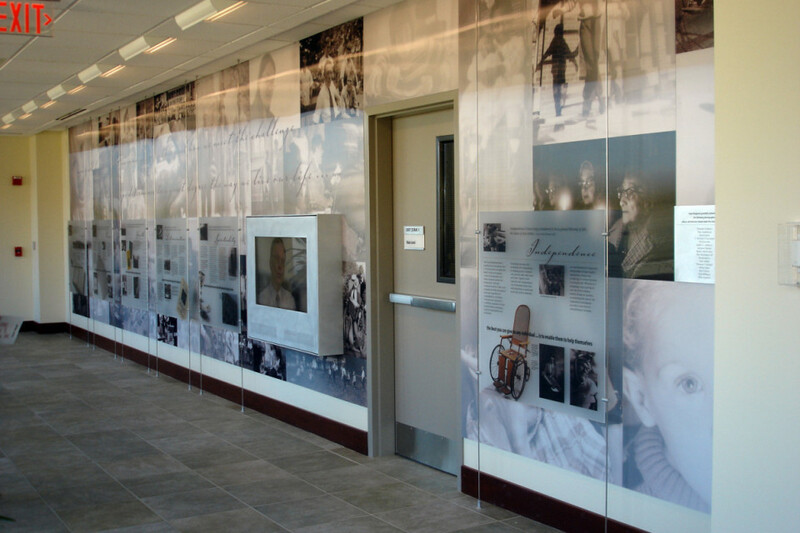 The Raker Legacy Wall pays homage to the history, present and future of the institution. There are three distinctive aspect of this installation. 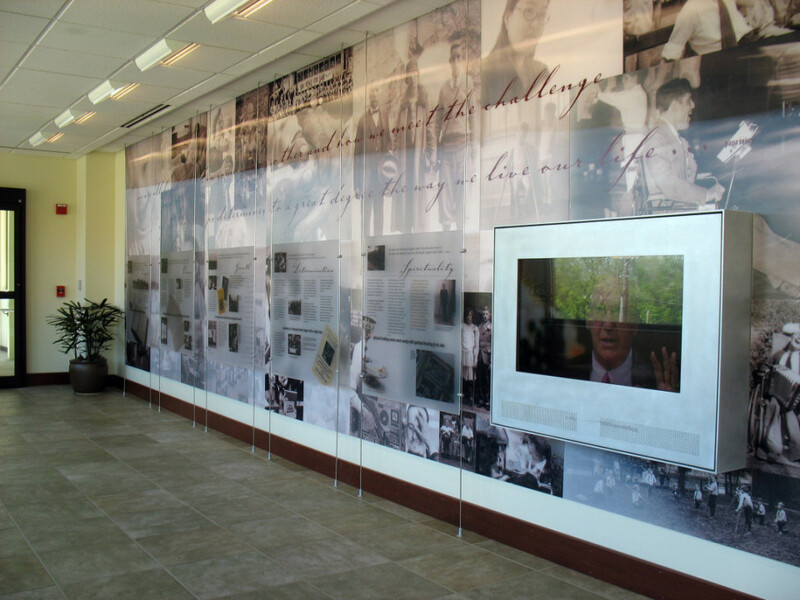 For the first component of the wall we integrated a lenticular montage of archival photographs covers the wall. Depending on your viewpoint, most of the images transform emphasis or into another image. The lenticular image process combines two layering components. The layers are interlaced in such a way that, when viewed from one angle, the surface displays a visually seamless version of one of the originals, but viewed from another angle, we see a different image. This technique spoke deeply to our desire to encourage viewers to look at the detail and to consider their point of view, both physically and emotionally. 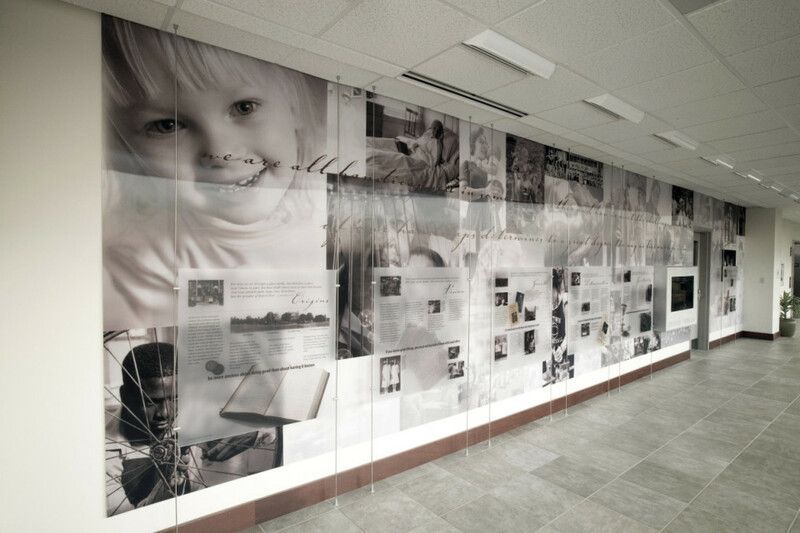 Six individual graphic panels are suspended in front of the lenticular installation highlighting individual stories associated the Good Shepherd story as related to Origins, Vision, Growth, Determination, Spirituality and Independence. 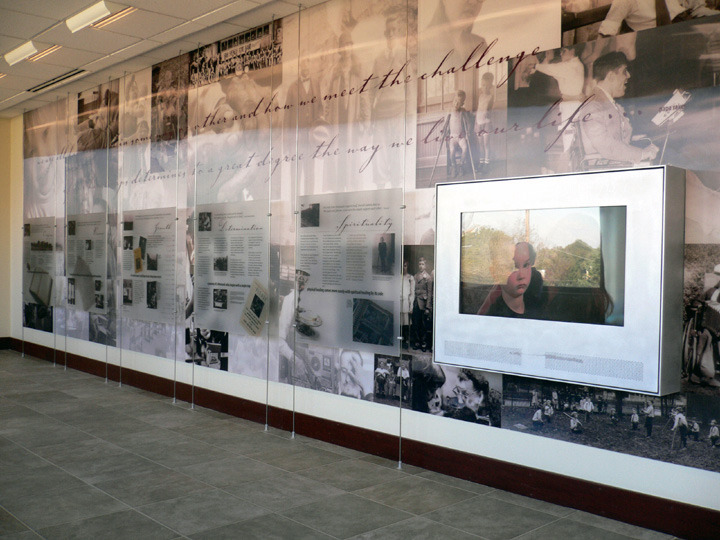 Lastly, working with Filmmaker Ben Shapiro, a film is integrated to complete the wall. 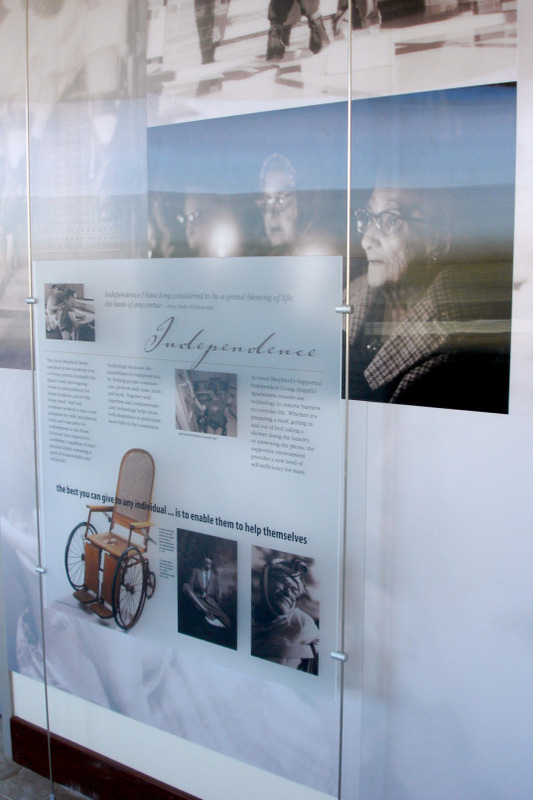 This film documents the personal stories of individuals whose lives have been deeply affected by their relationship with Good Shepherd Rehabilitation Hospital. The key to this film is in bringing to light the human experience of living and working with disabilities and the sense that while the stories belong to individuals, they are universal.